Oxford Software are a team of recruitment software specialists that have been providing leading recruitment agency software to the recruitment industry for over 25 years. We are based in Abingdon, Oxford and provide recruitment software solutions throughout the UK. We work closely with our customers to deliver the benefits of recruitment software innovation, whilst protecting existing investment in computer systems. All of our recruitment agency software solutions run on mainstream desktop PCs and networks with full links to office and email application software. 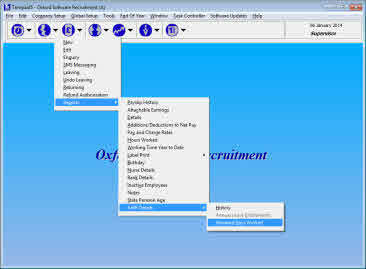 Our online recruitment software solutions compliment all of these recruitment products. Our innovative recruitment software and employment software products offered to recruitment agencies are Aspire, Tempaid and iTempaid. Aspire is our front office recruiting software solution designed to help recruitment consultants satisfy more clients and make light work of daily recruitment activities. With Microsoft SQL Server as the database it includes full client and candidate management with powerful recruitment searches, full applicant tracking, perm vacancy tracking and all aspects of recruitment agency management software requirements. 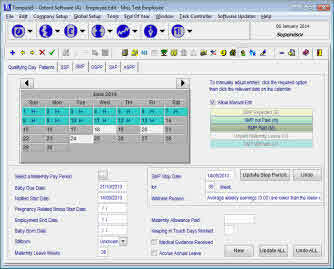 Powerful interactive daily work planners are available for contractors, temps and perms. 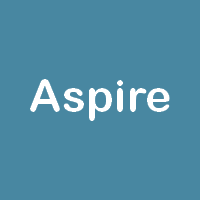 Aspire is an intuitive, easy to learn recruitment software solution that allows user confidence to be gained quickly - increasing efficiency and productivity. Seamless integration with our Tempaid software avoids data entry duplication and speeds up the whole recruitment payroll and sales invoicing process. 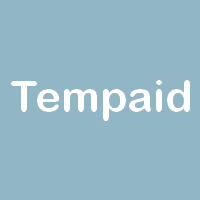 Tempaid is a back office recruitment software package that brings high levels of efficiency to all aspects of temp payroll and sales invoicing within the recruitment environment. 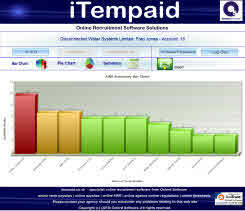 Tempaid includes timesheet software, a fully accredited payroll solution and a powerful invoicing & sales ledger module. Tempaid vastly reduces the back office accounts function by avoiding the need to duplicate data entry for invoicing and payroll. Our back office recruitment software solution includes full support for workplace pensions, RTI (Real Time Information), Apprenticeship Levy and IR35 public sector Off-Payroll legislation. Streamlined seamless integration with Aspire and iTempaid provides a complete front office to back office to online recruitment software solution. 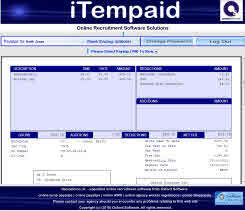 iTempaid completes our product range by providing online recruitment software solutions that include online timesheets, online payslips and online AWR (agency worker regulations) activity all of which integrate with our Aspire front office recruitment software and Tempaid back office recruitment software solutions. 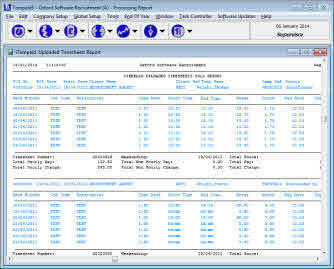 iTempaid online timesheets provides a user friendly solution to allow start, finish time and break details to be entered by temps on desktop PC's, laptops, Android and Apple iOS mobile devices. 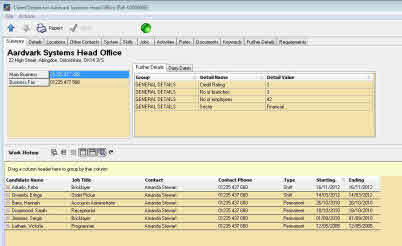 Timesheets can be easily authorised (or disputed) online by your client ready for seamless download into Tempaid for payroll and invoicing. iTempaid online payslips speeds up the whole payslip delivery process to your temps with increased security and allows you to save thousands of pounds on postage costs and reduces temp payroll queries. iTempaid online AWR allows all AWR information to be accessible by your clients day and night vastly reducing queries regarding AWR activity. 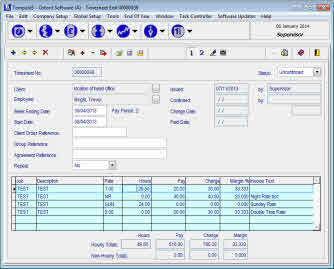 Android and Apple iOS Apps are available for tablets and mobile phones to allow the input and confirmation of online timesheets hours worked. 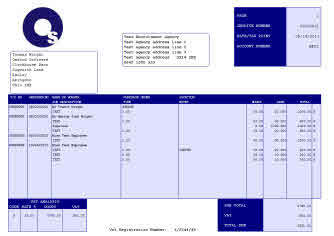 Android and Apple iOS Apps are also available for viewing temp online payslips on tablets and mobile phones. 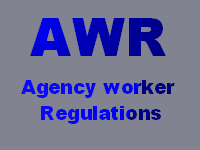 Each of our recruitment software front and back office products have standard and advanced options to cater for Agency Workers Regulations (AWR) requirements. Our Aspire front office recruitment software and our Tempaid back office recruitment payroll and billing software includes facilities to cater for the April 2017 IR35 public sector Off Payroll legislation. Our Tempaid back office recruitment payroll and invoicing software caters for April 2017 Apprenticeship Levy legislation. 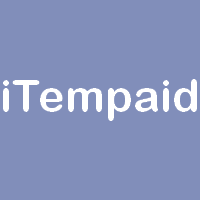 Tempaid has been updated to accommodate all pension auto-enrolment requirements. 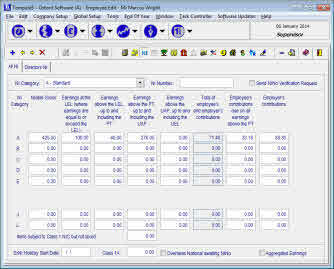 Tempaid integration modules for NEST Pensions and NOW Pensions are available.